Each February, the Fairmont Mayakoba Resort hosts the Mayakoba PGA TOUR Golf Classic. This annual event was the first to be held outside the United States and Canada. The tournament takes place at the El Chameleon golf course, a professional course designed by golfing great Greg Norman which is spread over three different extensions: rainforest, mangroves and amazing views of the white sand characteristic of the region. 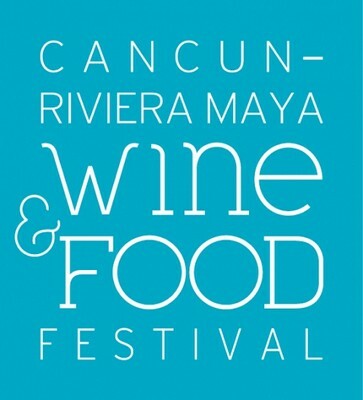 This annual festival will take place March 14-17, 2013 in various venues in Cancun and the Riviera Maya. It celebrates Mexico's food and wine with cooking demonstrations, wine tastings, cooking demos, gala dinners, spirits seminars, a gourmet tasting village, and other special events. 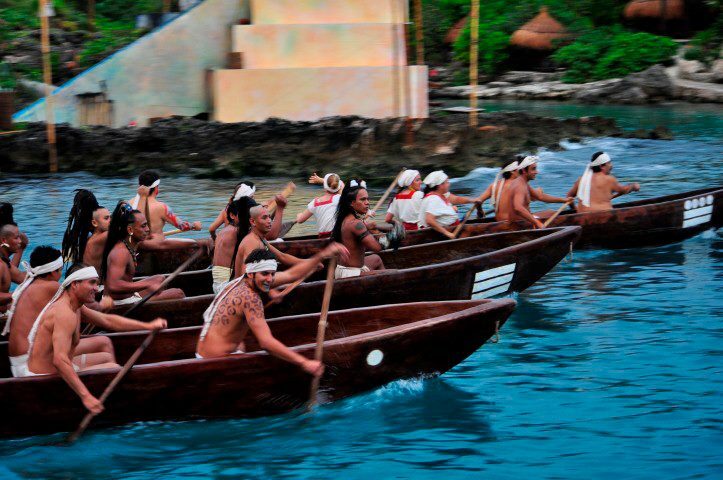 This May the Sacred Mayan Journey will take place at Xcaret for the 7th consecutive year. This event recreates one of the most ancient traditions of the Mayan culture, the yearly pilgrimage of the Maya in canoes to the island of Cozumel to worship the goddess Ixchel. Can you imagine swimming with whales? What about sharks? Whale sharks are not actually whales, but they are as big as some whales, hence their name. They are one of only three filter feeding shark species in the world and are a type of fish. They are not a danger to humans, which is why it is possible to swim with them. Whale sharks are found in tropical and warm to temperate seas and every spring they migrate to certain regions around the globe, including the waters off Isla Mujeres and Holbox in the plankton rich waters of the Yucatan Peninsula. Tours are available from mid-May through mid-September. 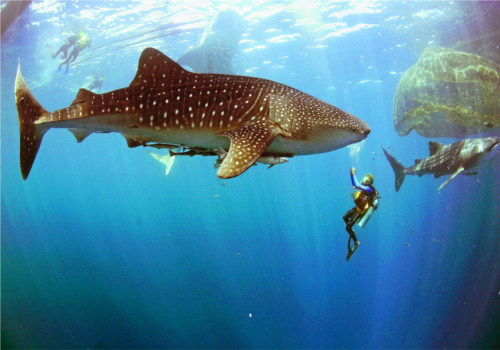 July and August are the peak whale shark months. Swimming with these gentle giants in the aqua blue waters of the Mexican Caribbean is an experience one will never forget. Find more information about all of our tours here! Hacienda Tres Ríos Resort, Spa & Nature Park will host the 3rd Mayan-Tibetan Cultural Encounter in September, 2013. Representatives of both rich cultures will participate; the Tibetan Monks of the Drepung Loseling Monetary, Richard Gere Productions and Arte Maya Productions, Mary Coba Cupul. Activities will include; cultural conferences, healing rituals, sacred traditional music and dance and Tibetan and Mayan art. In addition, the Tibetan monks will construct a sand mandala that lulls the monks into a state of tranquility in a process that lasts 3 to 7 days. This is an amazing opportunity to witness this fascinating process. Kukulkan, the largest pyramid in the ancient Mayan city of Chichen Itza was built in part for astronomy purposes. On the autumnal equinox (September 22) the sunlight will bathe the western side of the pyramid's main stairway and cause 7 isosceles triangles to form imitating the body of a serpent roughly 37 yards long that will creep downward until it joins the huge serpent's head carved in stone at the bottom of the stairway. This phenomenon is artificially recreated nightly at 7pm during the Light and Sound Show. A mystical atmosphere fills the grounds with the sound of drums, traditional music and cheering crowds. 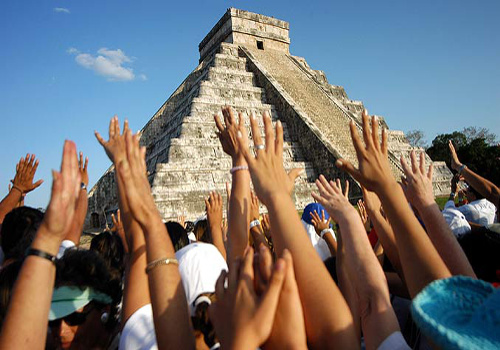 Chichen Itza is one of the New Seven Wonders of the World, and a UNESCO World Heritage Site. 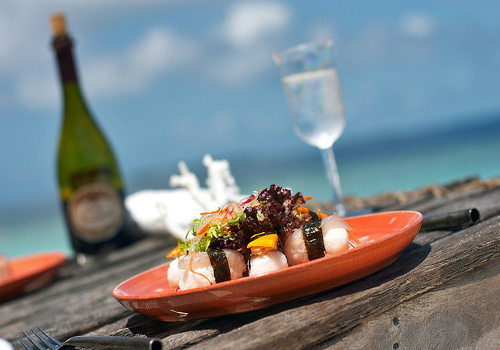 In November 2013 the annual culinary event Taste of Playa will be held in Playa del Carmen’s Parque Fundadores (Founders Park). International chefs from many restaurants in the Riviera Maya will showcase their new and specialty menu items. Be sure to attend with an empty stomach! 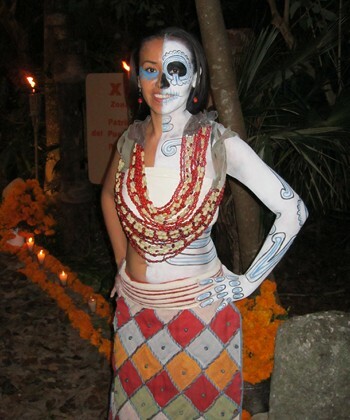 The Festival of Life and Death Traditions is a celebration full of of color, music and tradition which presents programs and activities for children, young people and adults, all revolving around the Mayan holiday Day of the Dead or Hanal Pixán. Xcaret's Festival of Life and Death includes workshops, handicrafts, offerings and altars, children’s and puppet theater, storytellers, tours of the underworld and Xcaret's cemetery, parades and interactive activities, ancient ball games and rhythms that include music rituals, folkloric ballets, Pre-Hispanic dances, contemporary dance and acrobatics, short films, feature films, painting and photo exhibits, and a wide variety of gastronomic exhibits, a chocolate workshop, and temascal sessions. Do you have any events to add to our calendar? What events are taking place December 1-8th ? We will be there with a group for a 50th birthday party, and I thought it would be fun to see a concert or something. Thanks!